And as he entered into a certain village, there met him ten men that were lepers, who stood afar off: And they lifted up their voices, and said, Jesus, Teacher, have mercy on us. 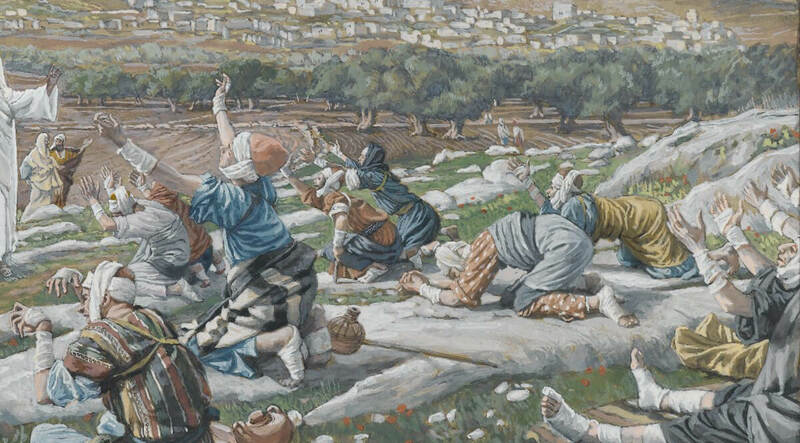 And when he saw them, he said unto them, Go show yourselves unto the priests. And it came to pass, that, as they went, they were cleansed. And one of them, when he saw that he was healed, turned back, and with a loud voice glorified God, And fell down on his face at his feet, giving him thanks: and he was a Samaritan. And Jesus answering said, Were there not ten cleansed? but where are the nine? There was not found one that returned to give glory to God, except this stranger. And he said unto him, Arise, go your way: your faith has made you whole.